Newcastle Basketball is pleased to announce Wheeling & Able as our 2019 Charity Night partners. Wheeling & Able provides support and assistance for Hunter-based children with physical disability. Ticket prices to Newcastle Hunters home games this Waratah Basketball League season are the same as they have been for five years. Come and enjoy the cheapest quality entertainment in town! 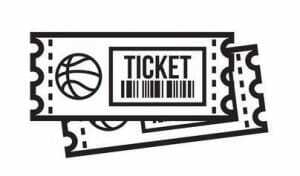 The Basketball Australia Boomers take on USA Basketball at Marvel Stadium in Melbourne on August 22 & August 24 and WE HAVE TICKETS to be raffled at Newcastle Hunters home games throughout the Waratah Basketball League season. Some of the brightest stars in the NBA and the biggest names in world basketball will be on court as both teams prepare for the 2019 FIBA World Cup in China. Get to a Hunters home game and buy your raffle tickets for a chance to win! 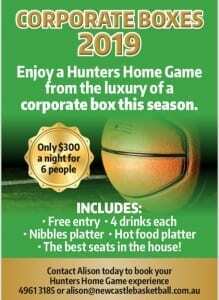 TREAT yourself and your family or your colleagues and clients to a court-side corporate box for an even greater night out at a Newcastle Hunters home game. Just $300 a night for six people (includes entry, four drinks per person, nibbles platter, hot food platter and the best seats in the house). Contact Alison NOW to book your Hunters home game experience. 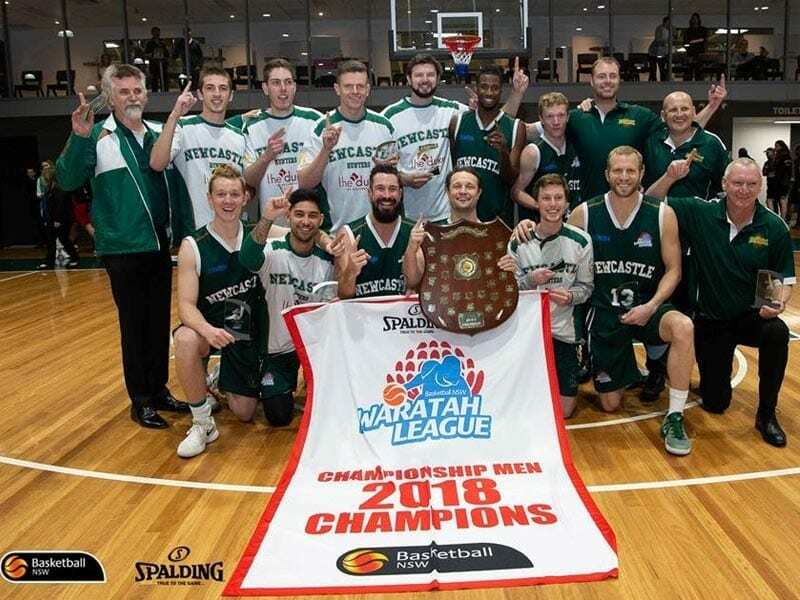 CELEBRATE with our 2018 Waratah Basketball League championship-winning Men’s team as they raise the banner before tip-off on Saturday night. Join us at the Duke of Wellington Hotel at New Lambton for the official Newcastle Hunters After-Party this Saturday night, and after every Saturday night home game this Waratah Basketball League season. The Stadium Bar will close at full-time of the Men’s game, then we invite all our sponsors and supporters to join the players and coaches back at the Duke. VOTE with your feet this Saturday, March 23. 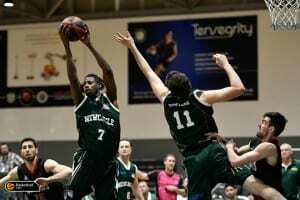 It is Election Day, so in the battle for NSW supremacy, get to Newcastle Basketball Stadium to cheer for your Newcastle Hunters in five games against our big-city rivals, Sydney Comets. 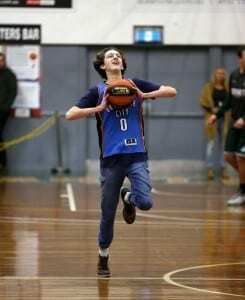 Make a shot from the half-way line at half-time of our Waratah Basketball League Men’s game against Maitland Mustangs on Saturday night and win $500 (if you are drawn out as the designated shooter). Tickets are only $2 each and you can buy as many as you like to enter the draw*. We will draw out our shooter’s name at quarter-time, then at half-time they will step to the half-way line to shoot for $500. Miss, and head to the three-point line to shoot for $100. Miss from there and shoot from the free-throw line to win $50. 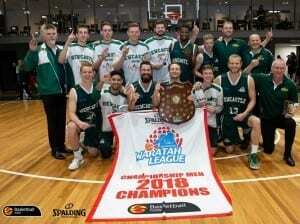 * NOTE: Senior Waratah Basketball League representative players ineligible to enter.